Gar Yein started work as a Lecturer in Law at Buckingham on 1 September 2017. She has held academic posts at Nottingham Trent University (UK), University of Exeter (UK), Central European University (Budapest, Hungary), Universities of Maastricht and Utrecht (Netherlands), and the University of Passau (Germany). She has taught broadly comparative law in the fields of constitutional law and human rights, and has taught a range of English law subjects. Gar Yein has also been a visiting researcher at University of Oslo, MultiRights project (now PluriCourts), University College London, Institute for Social Sciences of Politics (Cachan, France), University of Utrecht, Netherlands, and IRSIG-CNR, Bologna, Italy. Gar Yein’s most recent publications cover issues of judicial skills, the training of judges and the role of judges vis-a-vis the legislator from a comparative perspective. 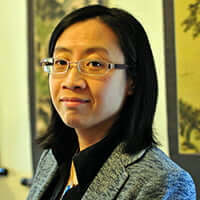 Previously, she was an Independent Researcher in the field of Judicial Studies, with particular focus on court and justice management, public law, and procedural law particularly at the intersection between law and technology, from a comparative perspective. Gar Yein has continued to work on projects for the Organization for Security and Cooperation in Europe, Office for Democratic Institutions and Human Rights and the Council of Europe, European Commission for the Efficiency of Justice (CEPEJ). Educated at the Universities of Central England (now Birmingham City), and Maastricht, she holds an LLB (Hons) in English Law, LLM in International and Comparative Law from the University of Maastricht, and a PhD “Quality of Judicial Organisation and Checks and Balances” from the University of Utrecht, Netherlands. Gar Yein Ng, Quality of Judicial Organisation and Checks and Balances (Antwerp: Intersentia, 2007). ISBN: 978-90-5095-649-9. “Guidelines on the role of court-appointed experts in judicial proceedings of Council of Europe’s Member States“. This document has been drafted by the Working Group on the Quality of Justice (CEPEJ-GT-QUAL) based on a working document by Anke Eilers (member of the Group, Germany) and a study by Gar Yein Ng (scientific expert, Norway) on the role of experts in judicial systems.